Great Venue for a Great Event! 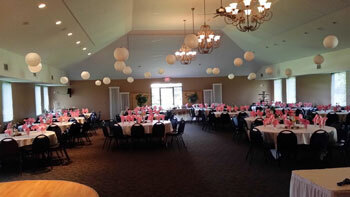 Our beautiful banquet facility can accommodate 300 guests at large round tables with space left over for a banquet buffet or dancing till dawn on the hardwood floor. 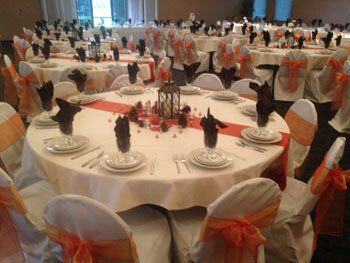 Exclusive catering is provided by our in-house chefChef Raymonevoted one of the top ten caterers by the Detroit News. Chef Raymone's mission is to provide the freshest quality food at unbelievably reasonable prices with superb service and has been providing quality food at a reasonable price to our banquet center for years. The Washington Banquet Center offers colored linen napkins, linen tablecloths, cloth skirting, china, and award-winning ice sculptures to complement any event. 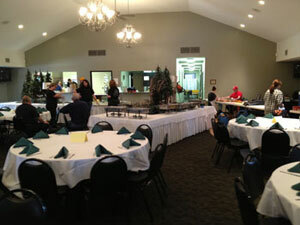 The banquet center also has professionally landscaped grounds, complete with a covered outdoor brick paver patio. 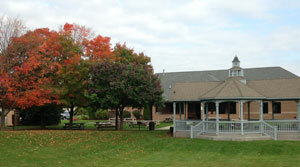 The large beautiful gazebo adjacent to our patio is also available for rent for outside events or parties. For hall and catering pricing, please call our office at 586.992.1120, send an e-mail to reservations@washingtonbanquetcenter.com or complete our online reservation form.